Gianluigi Buffon is set to play his second game for PSG at as two club giants clash in International Champions Cup. Bayern Munich and Paris Saint-Germain will kick off their International Champions Cup campaigns on European soil when they meet in Austria. The Bundesliga champions and Ligue 1 title holders are due to lock horns at the Worthersee Stadion in Klagenfurt, Austria on Saturday. Having both swept to domestic glory in 2017-18, they will be hoping for more of the same this season, with winning a useful habit to get into early. A number of World Cup performers will be missing in the wake of their efforts in Russia, but two heavyweight sides boast enough depth to their respective squads to ensure that there will still be plenty of superstars on show. Niko Kovac will be taking in his first game as Bayern boss and has plenty of options at his disposal despite the absence of those who took part at World Cup 2018. The likes of Arjen Robben, Franck Ribery, Arturo Vidal, David Alaba, Javi Martinez, Kingsley Coman, Rafinha, Juan Bernat, Sandro Wagner, Sven Ulreich, Serge Gnabry and Renato Sanches are all available. Potential Bayern XI: Ulreich; Rafinha, Martínez, Mai, Alaba; Vidal, Sanches, Shabani; Robben, Wagner, Coman. While those attending the game will not get the chance to see the likes of Neymar and Kylian Mbappe in action, PSG will have plenty of familiar faces on show. Gianluigi Buffon has linked up with the club this summer, while the likes of Lassana Diarra and Adrien Rabiot should also figure in ICC fixtures alongside exciting youngsters such as Timothy Weah. Marco Verratti will not be involved, however, as he continues building up his fitness with more pre-season work away from a match situation. Potential PSG XI: Buffon; Georgen, Mbe Soh, Rimane, Zagre; Bernede, Diarra, Rabiot; Jese, Weah, Nkunku. The absence of several senior Bayern stars from Russia 2018 means that Kovac will be in a position to name a strong side throughout the International Champions Cup. That should help to establish some early stability within the ranks before their World Cup contingent are welcomed back into the fold. Their ICC endeavours also present the Munich giants with an opportunity to get their hands on a piece of silverware which has so far eluded them. 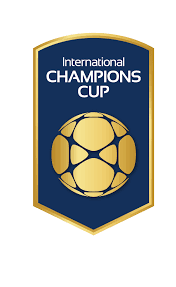 Bayern did finish as runners-up to Inter in the Singapore section of the 2017 event, but now have the chance to emerge as the overall winners in a format which has been altered again for 2018.